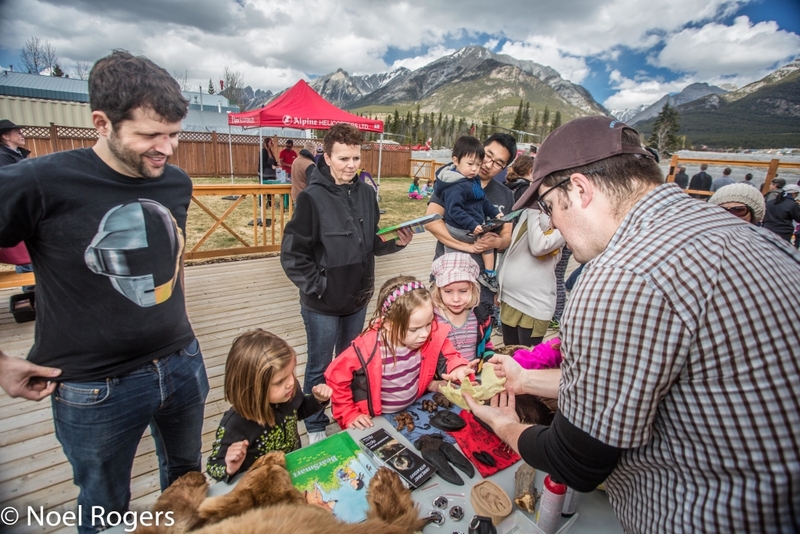 For 20 years, the Biosphere Institute of the Bow Valley has promoted sustainable communities and environmental stewardship; engaging youth, residents, area visitors and businesses with educational programs, research and outreach workshops. Past achievements include an Aquatic Restoration program (over 8 tonnes of invasive weeds and garbage removed from the region), and the innovative Natural Steps to a Sustainable Canmore program. Youth have benefitted from the Biosphere EduKit and Wild Smart programs, which examine bear, wolf, cougar, elk, bison and water, while others still have learned to use bear spray or compost with worms. This has meant an estimated 10.5 tonnes of food waste being diverted yearly from the landfill. The Biosphere Institute has been on the leading edge of innovative public education and outreach using community-based social marketing techniques to help overcome barriers and ensure people take action. Case in point: The Sustainable Action Canmore Door-to-Door campaign, which created a huge increase in use of energy efficient light bulbs, low-flow shower heads and cloth grocery bags. While it started as a small non-profit in 1997 with the goal of enhanced understanding of the ecological integrity of the rapidly-settling Bow Valley region, the Biosphere Institute has found creative solutions and launched multi-partner programs (with school boards, First Nations, government, waste management community and more) that benefit all. It’s a small, effective organization that packs a big punch.